Varna airport transfer » Varna taxi hire, airport shuttle service at Varna airport. Transport to / from VAR to Golden sands, Burgas, Albena, Balchik, Constanta airport, St Constantine, Bucharest. Online Taxi hire in Varna. 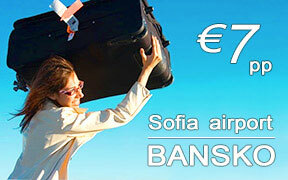 SEE VARNA AIRPORT TRANSFER RATES or search above for cheap transfers from / to Varna airport. We provide 24/7 private transfer services from/to Varna airport at lower than shuttle service rates. Regular airport transfers are offered to all Black Sea resorts - Golden Sands, Albena, Obzor, St Constantine & Helena, Sunny day, Balchik. Our courteous drivers will meet you in the arrivals of Varna airport with a board with your name and take you to your resort. We always monitor flight delays to ensure smooth airport transfer service. CUSTOMERS SAY IT ALL! Varna Airport is situated 7 km West of Varna town, in the North-East part of Bulgaria. In 2008, the departure area of Varna airport has been renovated providing more space to the passengers. The VIP hall of the airport also has gained a new, modern look and contemporary interior trends. Varna Airport on the Black Sea has been reopened in March, 2012, after the completion of a major rehabilitation of its runway. Since September of 2011, Fraport Twin Star management has invested forty millions to improve the runway of Varna Airport. Being a transfer hub of the Northern Black sea coast in Bulgaria, the recently renovated Varna airport serves all major resorts in the vicinity - Golden sands, Albena, St Constantine & Elena, Balchik, Obzor, Sunny Day, Kavarna, Byala. : Varna airport is located 7km West of Varna city center. : There are three terminals at Varna airport at the present moment. They are within walking distance except Terminal 2 which is accessible by shuttle bus. : From Varna, head west on the E70. Then turn onto the A2 after about 4km and follow signs to the airport. In the opposite direction, drive east on the A2 from Varna airport and turn onto the E70 road after 3.7km and follow the signs eastwards to Varna. : A large parking lot is available opposite the international terminal buildings, and there are both short-term and long-term parking spaces available for 1 Euro per hour. : There are no hotels at Varna airport. The city is not faraway from the airport (15 min) and you can find a good value for your money hotel in downtown Varna. : There are several ATMs at Varna airport. Foreign exchange services are also available. Paid by credit card Wi-Fi Internet access is available in certain areas at the airport. : Coffee bars at Varna airport are located in the public and transit areas of the terminals. They serve beers, hot drinks, soft drinks, wines, spirits, sandwiches and snacks. : There are duty-free shops at the airport. They are located beyond the security control of each terminal. They sell cigarettes, wines and spirits, perfumes, cosmetics, watches, sun glasses and much more. : Trolleys are available free of charge and a lost and found office which operates 24 hours. : There is a VIP lounge with meeting room, fax, printers and computers with Internet access at the airport. All guests can have access to this area by paying a fee. : There are special facilities for disabled people at the airport. There are reserved parking spaces, wheelchairs, toilets for wheelchair users, ramps and a lift for loading and unloading to and from the aircraft. There is a baby-changing room in the transit hall in terminal 3, beyond the security control.